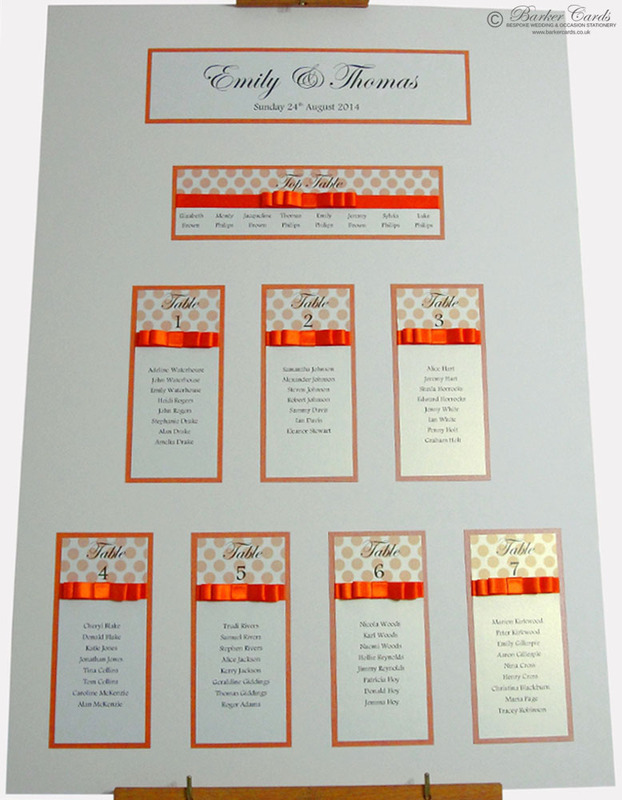 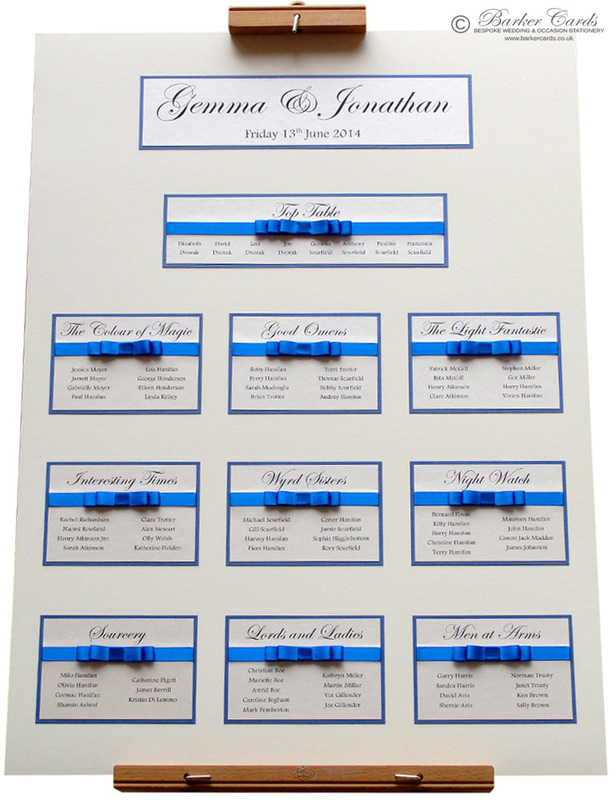 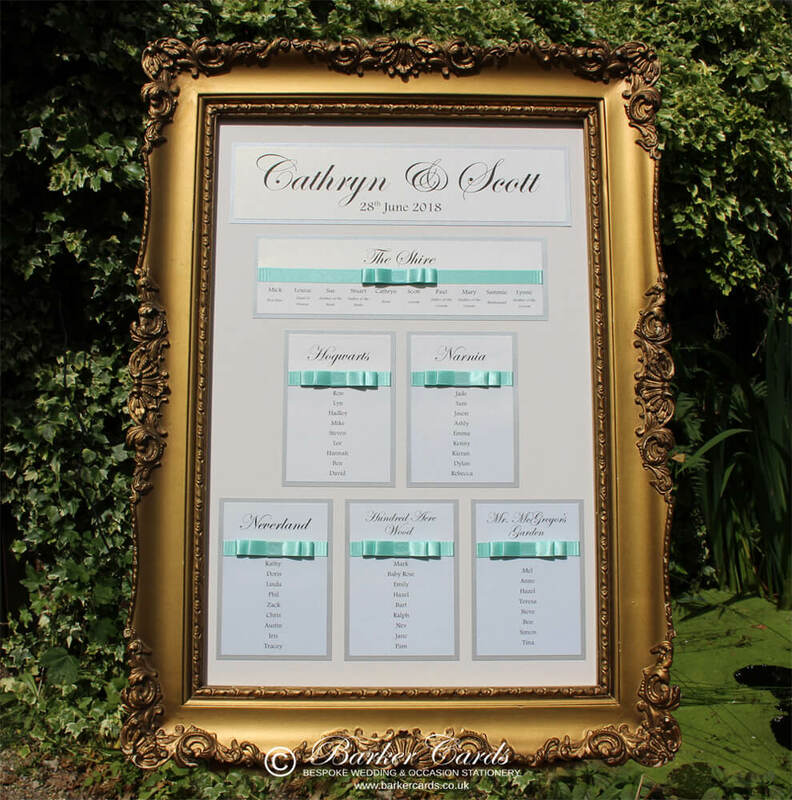 We offer wedding table plans that are handmade and printed. 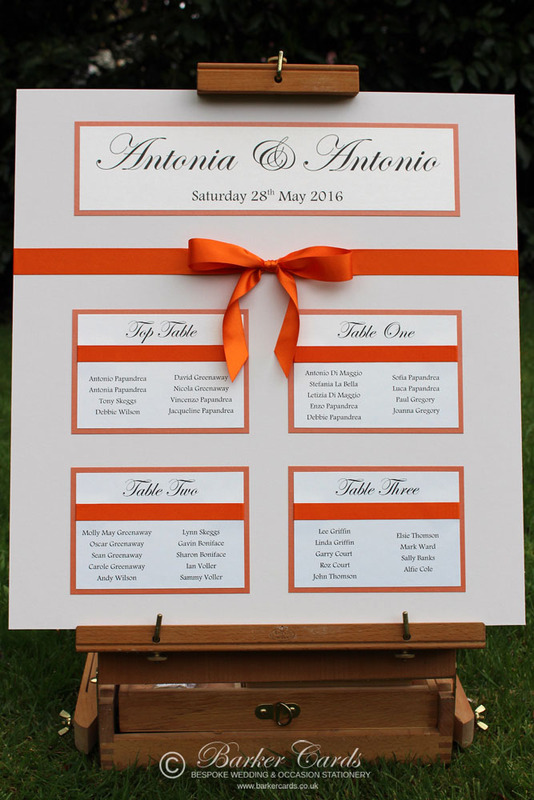 Handmade wedding table plans are made using a high quality mount board with mounted printed table cards adhered to the mount board. 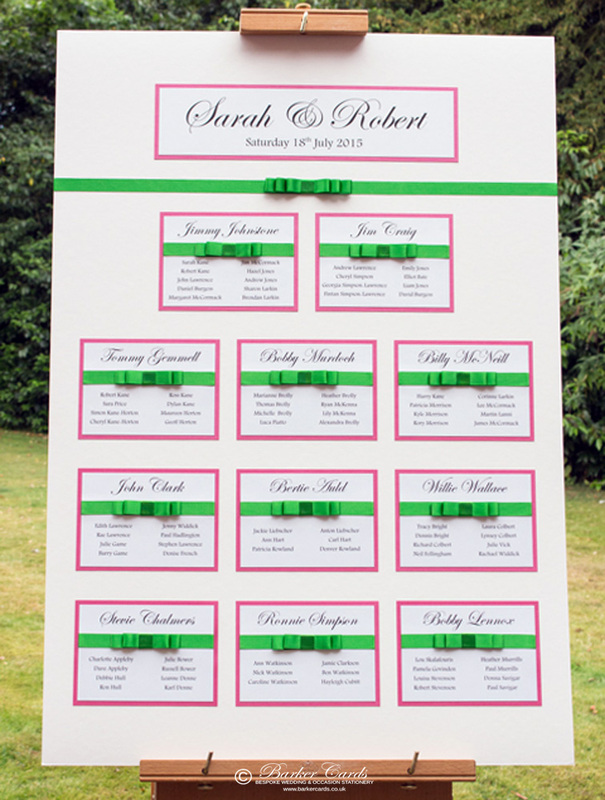 All table cards a made using pearlised cards and can feature a flat, tied or Dior bow. 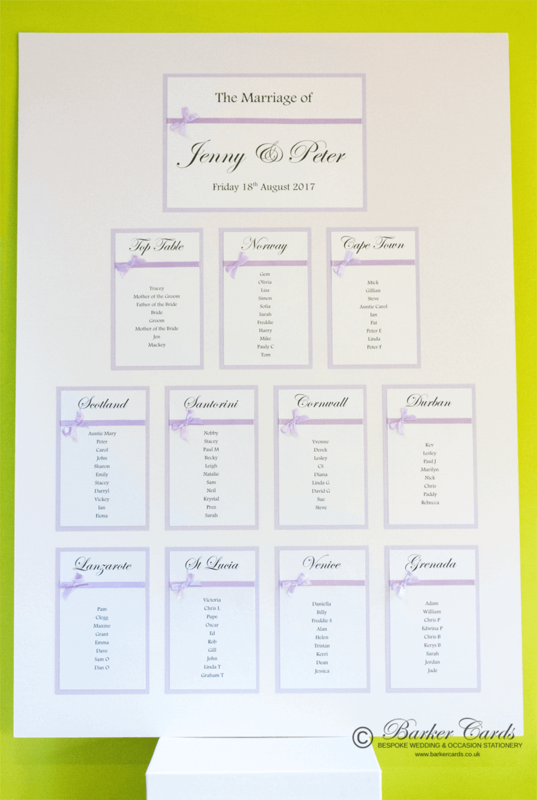 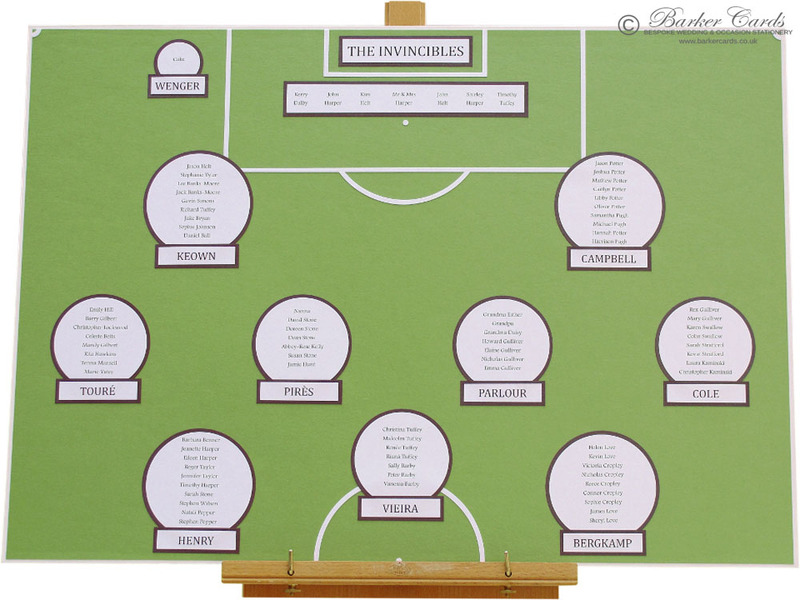 We offer table plans printed on card, canvas or fabric if you looking for something a little different. 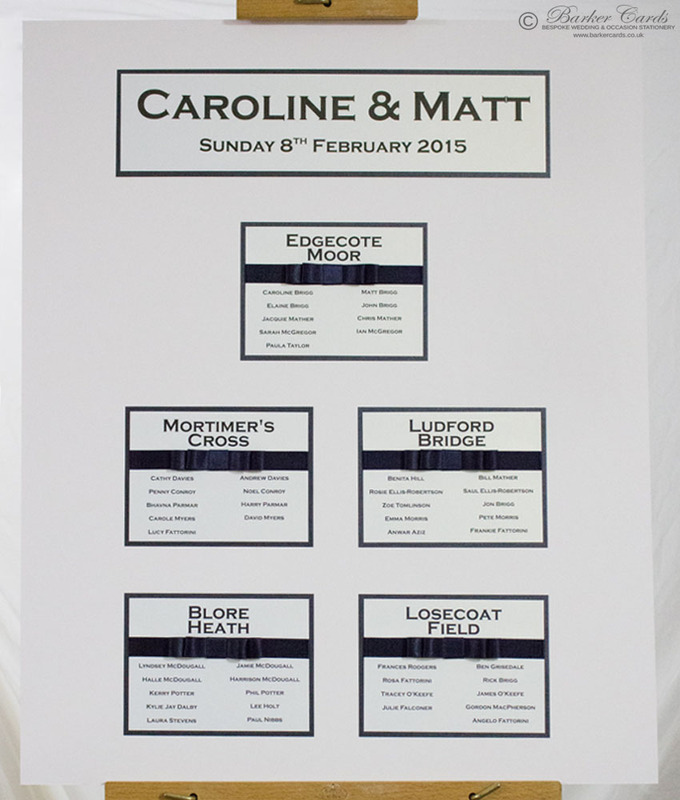 We even offer wedding table plans printed on re-positional wall fabric that can be easily stuck to a wall and safely removed after the wedding, these are ideal if space is at a premium!